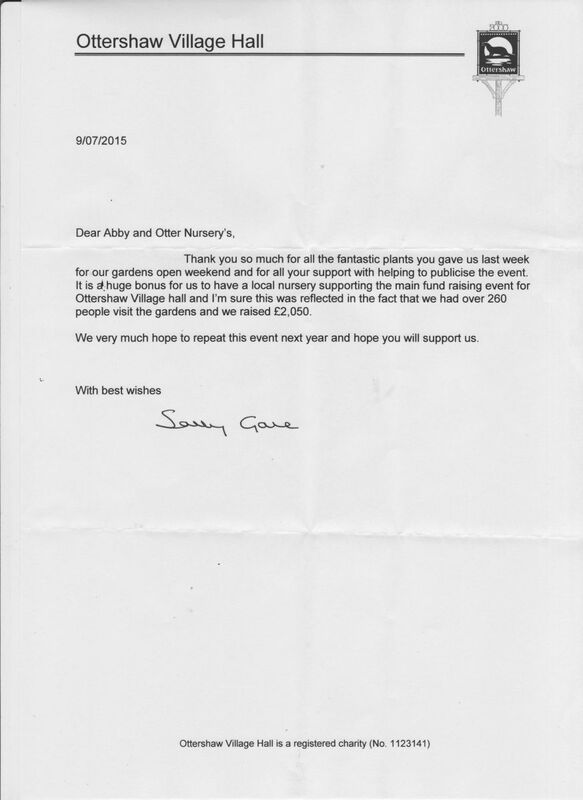 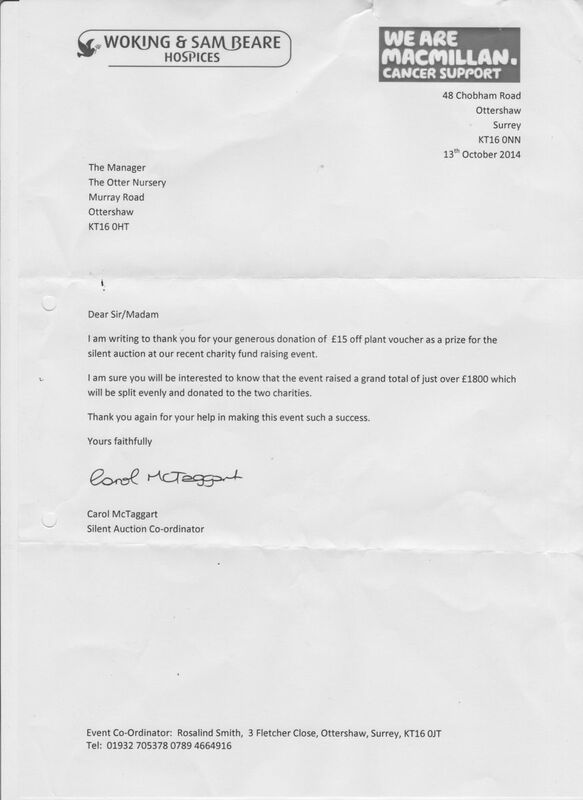 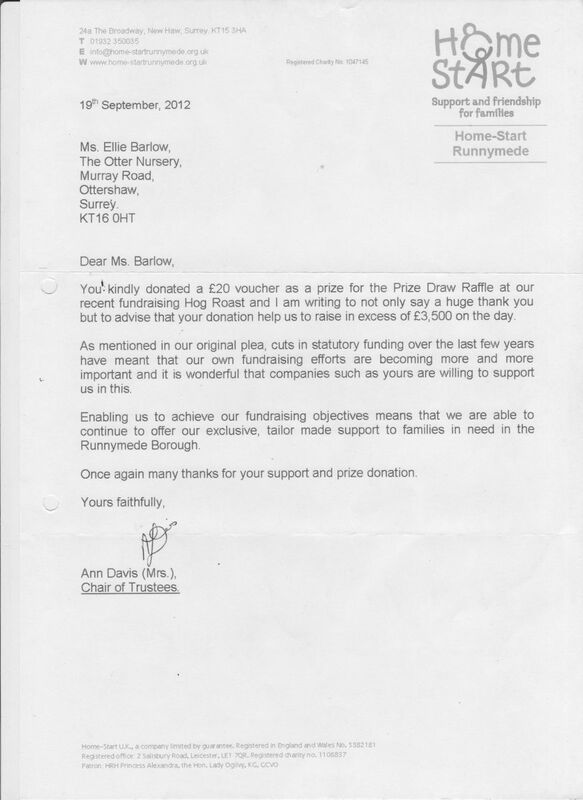 Here at The Otter Nursery we are proud to support local charities and organisations in any way that we can. 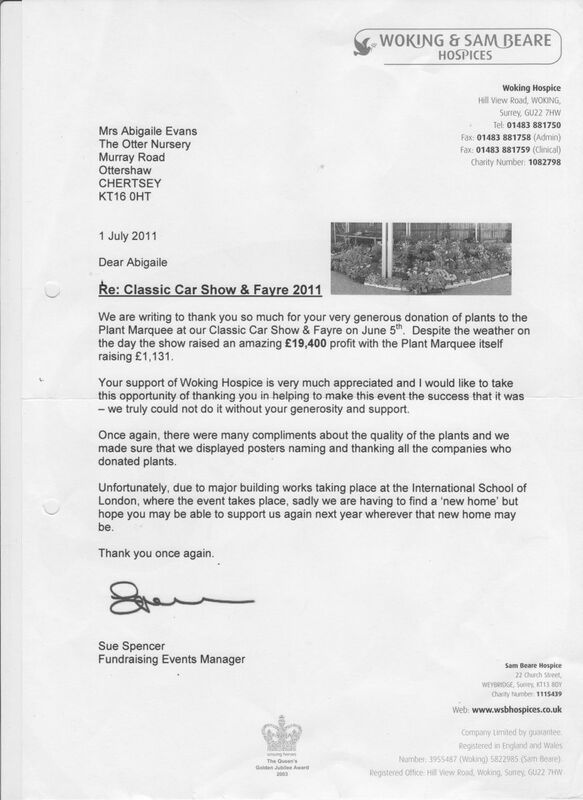 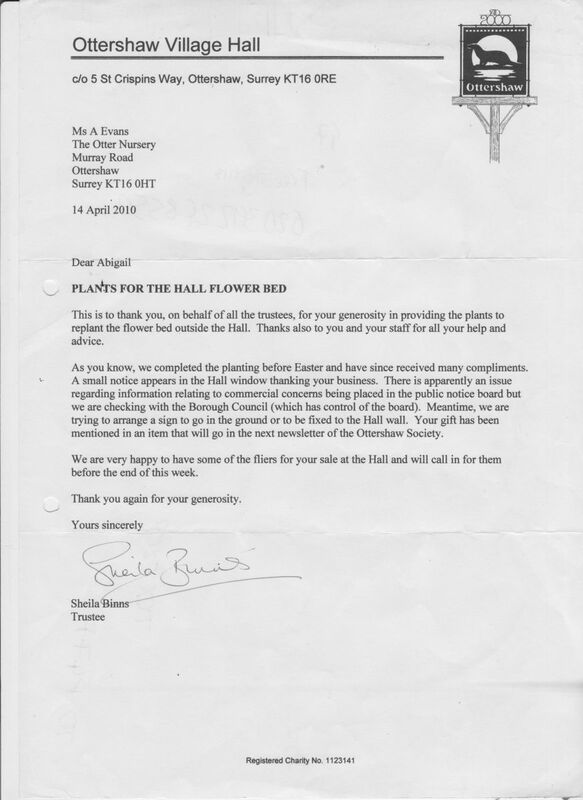 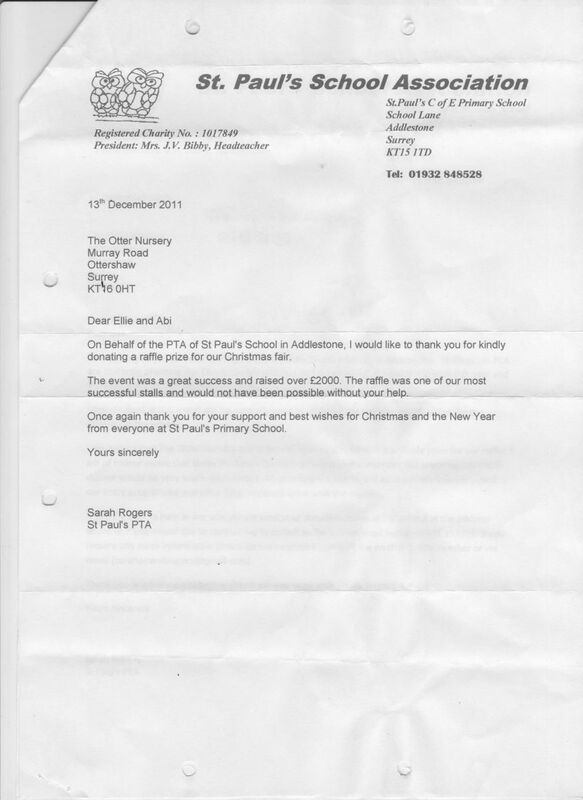 Below you can find a selection of thank you letters received from local charities who we have helped in the past. 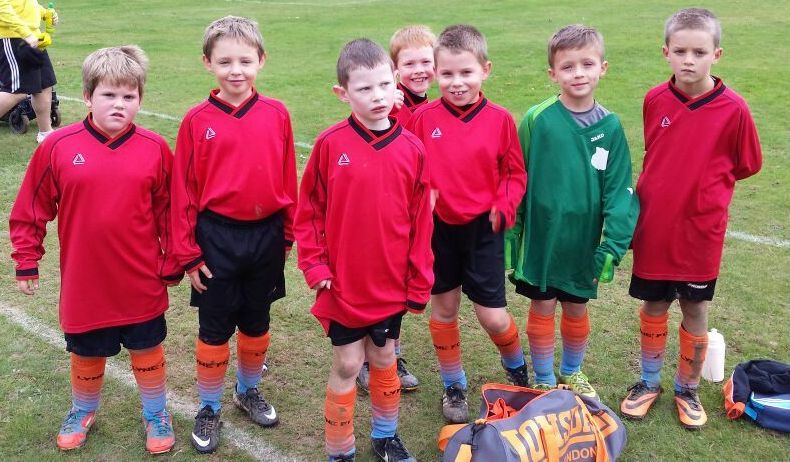 We are also now the proud sponsors of Lyne FC under 8's Wildcats. 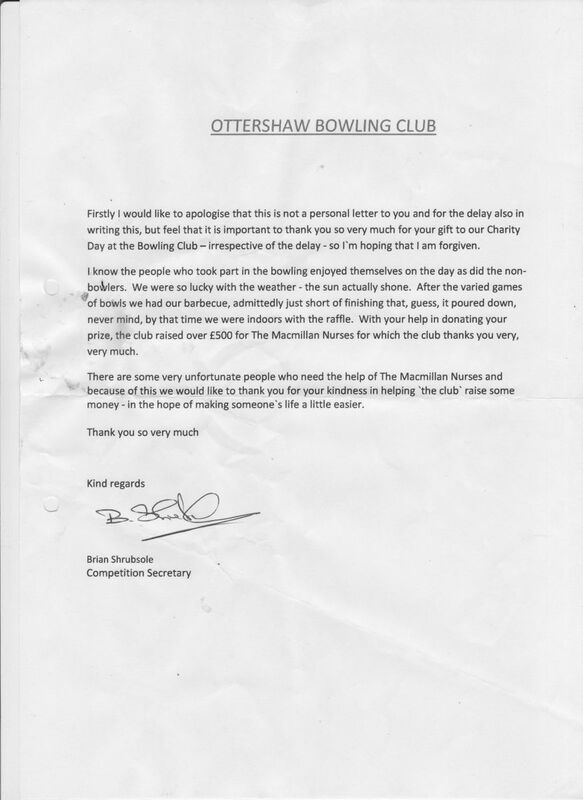 We wish the team all the best and look forward to seeing them in their new kits!